The word video comes from the Latin words “To See”. What Is Video tape ? In a nutshell VT is the recording of moving Images onto magnetic tape. In most cases it uses helical scan heads to read the electronic information magnetically, as well as recording Images. 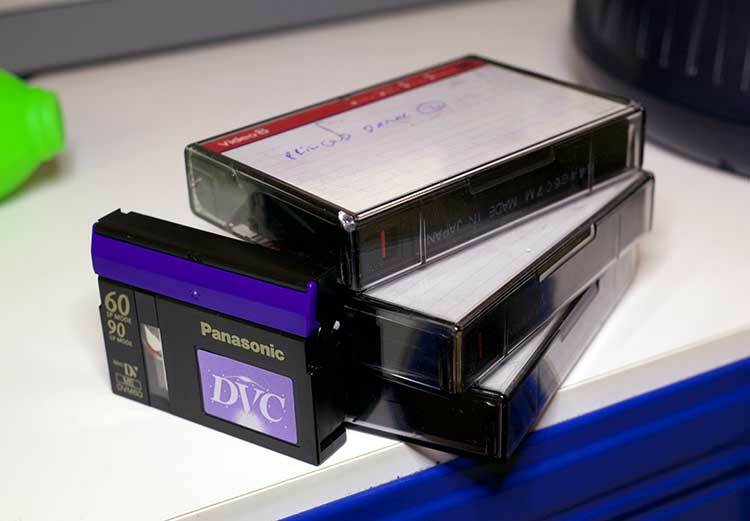 VT can be used to record digital formats such as Mini-DV, DVCAM or analogue formats such as VHS and video 8. In 1951 in the USA the BCE company gave the first demonstration of video tape recording but the image quality was very poor. The first example of broadcast video came in 1956 with Quadruplex machines. The one draw back with this system was its inability to freeze the picture. In 1971 Sony released a VCR cassette recorder based on a format called U-Matic. 1975 saw Sony launch the Betamax format. VHS In the following year of 1976 JVC launched VHS and the rest is history. By the late 1990’s DVD was already putting the nail in the coffin of VHS. With its superior resolution and noise free picture DVD was destined to replace the VHS format. With the advent of greater storage capacities for solid-state digital media. One would be led to believe that VT is a thing of the past. Even thou digital media have fallen in price to archive HD video in a solid-state form or onto hard drives is still an expensive business. Also the reliability of hard drives is still no match for the old video formats. HDV was used to capture HD video using the Mpeg-2 encoding method. It was really the same as Mini-DV. 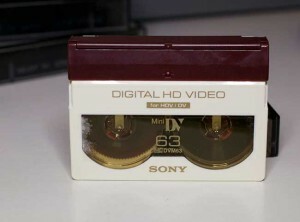 Sony HDCAM was the biggest seller when it came to HD video tape for the broadcast market and is still used for Television programmes worldwide due to its longevity and reliability.